The life and experiences of a home-educating Christian family. 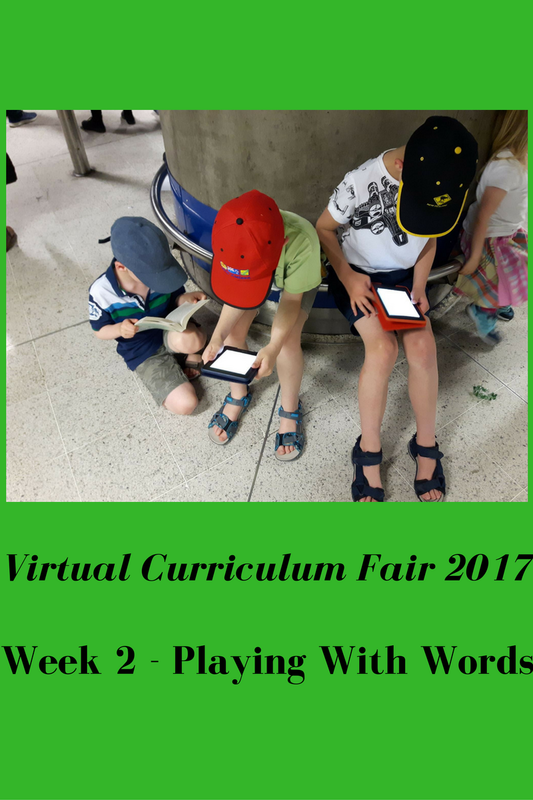 This year I am taking part in the Virtual Curriculum Fair 2017, which is hosted by Susan @ Homeschooling Hearts and Minds. 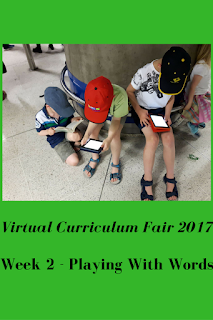 This is the second week, and the theme is Playing With Words: The Language Arts. How do you encourage children to love reading? How do we get our children to pick up a book rather than reach for the remote, or to be lost in Middle Earth rather than Minecraft? We have reached the stage where three of our children are reading well (they are 11, 9 and 7), and our youngest is keen to be reading too, and enjoying audio books while she plods on with her phonics. Not only are they reading well, but all three boys genuinely love to read, and will choose to read for pleasure regularly. This is a joy; I love books, and sharing one of my greatest pleasures with my children is great fun. It also means that I can read on the tube or the bus too as we travel around London. What have we done to foster this love of books? 1) Example. There are books everywhere in our house, and it is not unusual for the children to find me or my husband reading. We often talk about what we read - and my husband will also suggest good Christian books that I might enjoy. The children hear this, and get involved in the conversations, and want to be included too. 2) Screen-time limits. Our children love books - they are unashamedly enthusiastic about reading; however, if they could play on the ipad or watch TV, they would probably choose that every time. It's engaging and easy and fun. 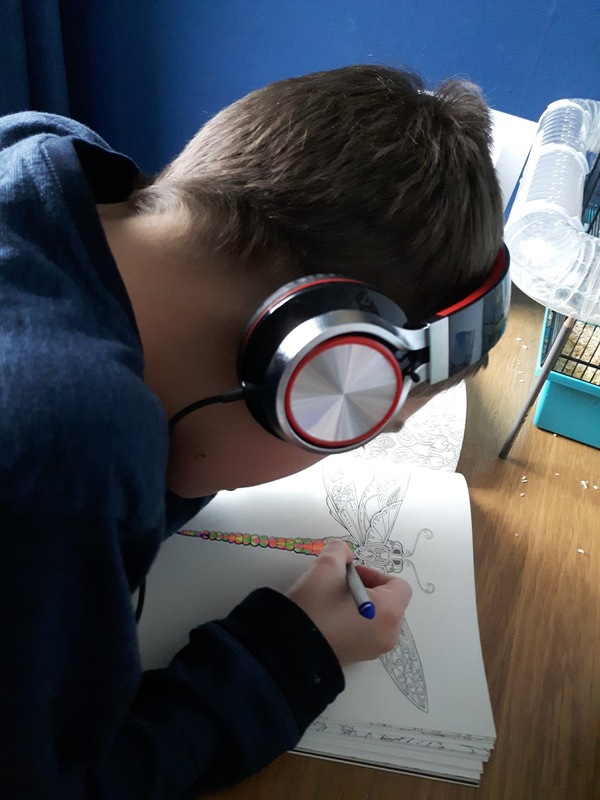 There is a place for TV or computer games, but we keep strict limits on how much they are allowed so that it doesn't squeeze out time for other activities such as reading. 3) Set Reading Time. For half an hour a day after lunch, the children are sent to sit on their beds with a book that I have set them to read. Often, though not always, I will set them something that fits in with the history we are studying at the time. Alternatively, I will just choose a well-written book that I think will be good for them to have read, and that they will enjoy. This is helpful as it gets them to read more widely than they would naturally choose. They also like to know that at other times they can read what they choose, so they don't stress that reading a new or challenging book uses up time for re-reading an old favourite. Sometimes they will request a certain book for set-reading time, and I am usually happy to accommodate them. 4) Reading Aloud. Picture books, story books, factual books, art books, novels; history books, science books, biographies. I usually have about three books on the go, and I will read some of each after breakfast before the children get on with their work books. I usually have one Christian book, one novel, and one fact book of some kind at any one time. There is something special about the shared family experience of reading books together, and it is one of our favourite parts of the day. In addition, I will try to read to the younger two regularly at bedtime. 5) Audio Books. With the best will in the world, I could not read aloud enough to satisfy my children, so audio books are a much loved part of our family life. Almost exclusively, we have downloaded free books from librivox - books which are now out of copyright, and which have been recorded by volunteers. Even our eldest (now 11) listens to audio books every day. We bought him some grown-up colouring books for Christmas, and he spends lots of time listening to Sherlock Holmes while doing some colouring. We also use audio books for long car journeys where reading makes our children car-sick. 6) Choose Carefully. I try to pick books that my children will like - not just my favourite books! I have three boys, and though they have wide tastes in reading, there will inevitably be some books from my childhood that are less appealing. They also enjoy reading lots of fact books that I would not have chosen to pick up when I was a child - I always preferred fiction. 7) Reading Challenges. We have had a Summer Reading Challenge for the last couple of years, where each child has a target of a number of books to read (or have read to them), with awards for bronze, silver and gold levels. Michael and I have had a challenge each too. Last summer we had to add an extra platinum level in for the children as they read more than we anticipated. 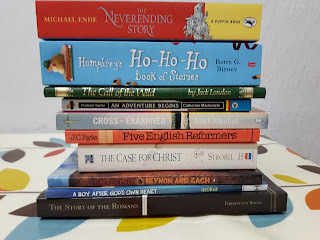 This year, we are attempting a Christian Reading Challenge together. Week 1 has gone well, but it is too soon to tell if we will all be persevering with it all year; I hope we will be. 8) Outside Encouragement. We have friends and family who recommend and lend their books with great generosity to our children, which gives them a wider selection of material, and more people to talk about their reading with. We also have book groups as part of our home education group that I run with a friend, and this has been a lot of fun for the children too. Yes - I'm sure we could have done all this (and more and better!) and still had children reluctant to read! Still, it all helps, I think! He spent all of last night reading Far Side cartoons - so he reads all sorts of levels of material! We have done all of this and still have a reluctant reader. He is 11 now, but I still have a little bit of hope that some day he will catch the love from the rest of us. That's hard; there are no guarantees, are there? Even though there is lots you can do to help, not everyone will love books to the same extent. What does a young child really need?